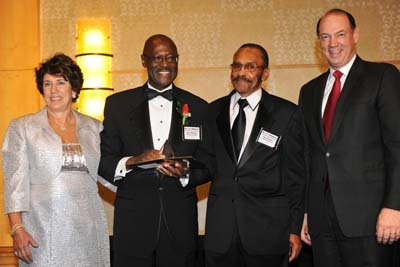 Last month Hercules Pinkney, EdD, an elder at the Allegheny East Conference Breath of Life church in Fort Washington, Md., was recently named Leader of the Year for Montgomery County, Maryland. Pinkney is interim president of Montgomery College. Pinkney had recently retired as vice president and provost of the Germantown campus of Montgomery College and was busy planning the next chapter of his life. That’s when the call came to return to the college as interim president, to lead the academic institution until a permanent successor could be found. His leadership over just seven short months earned Pinkney the distinction of the Sandy Spring Bank Outstanding Leader Award. Leadership Montgomery, a local leadership training organization, presented the award during last month’s 21st annual Celebration of Leadership program.